Habit-Jacking Consumers Toward Conversion?! | ASTRALCOM - Content Strategy, Conversion Marketing and Customer Acquisition. What’s in a habit? According to research, we conduct 45% of our daily lives based on habit. So, yeah, it’s kind of important to know what comprises a habit, even if from a purely humanistic understanding. That’s where MarketingSherpa’s Daniel Burstein interview with Charles Duhigg comes in. Can marketers and content creators use these very elements of habit to create better engagement with consumers? 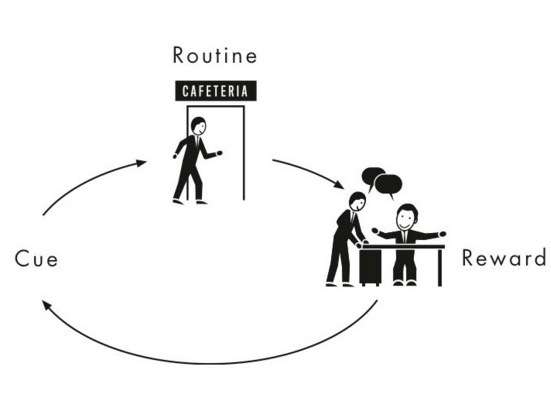 Can they somehow insert themselves into consumers’ habit processes – can a habit be hijacked? It would certainly seem so. In fact, we’ve long held to the belief that there is indeed a syntax to consumerism – that consumers respond to certain messaging tactics better than others. If this kind of stuff interests you, then you will most definitely want to read our post, The Syntax of Consumerism. Messaging for results is part art and part science and we’ve married the two together to deliver outstanding results for our clients. We encourage you to form a new habit and look to ASTRALCOM as your digital marketing partner.